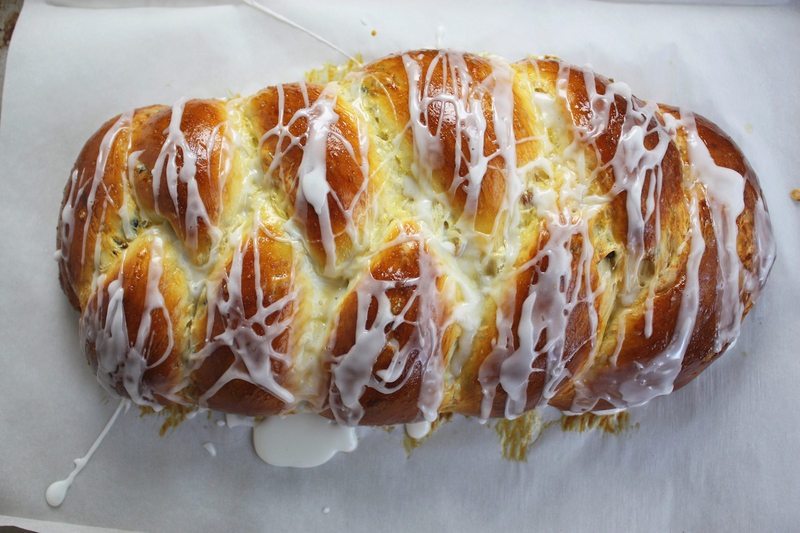 Christmas is the best time to make sweet breads like my Christmas wreath bread but it doesn’t have to be a wreath. It can also be braided and shaped into a regular loaf. And it doesn’t even have to be for Christmas. With a simple white glaze you can enjoy it any time of year. If you want to toast it, just omit the glaze and you can make fabulous cinnamon-raisin toast. 4 Comments on "Sweet Christmas Bread Made Without Butter"
Bonnie a.k.a. " THE INSATIABLE T.L.C. " 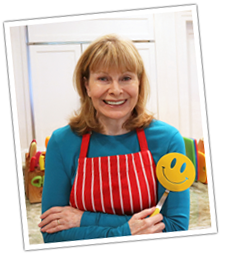 Dear Jenny: I wanted to start cooking, backing & making more things from starch, but it’s hard to find the just the right videos out there that show you that you really can cook from starch & things still turn out great & also taste great as well. While searching the internet trying to find a really good bread recipe, I came across your cooking video recipes & have been watching all the time now & I just love, love, love them & your personality to, you are fun to watch & funny at the same time, which makes me want to watch them all the time, just so I can learn different ways to cook & things I want to make that are not only easier to make, but when I make them, they will indeed be great to eat. I also love the way you show people that you really can make, cook or even bake anything that you want to eat, that is much healthy for you & taste great without using butter or all those other really fatty stuff & ingredients that everyone always cooks, bakes or makes things with. Thank you so much for showing me & a lot of other people that cooking can be fun & really rewarding. When you had your talk show, I watch all the time, to which I was a big huge fan of yours & was really disappointed when your talk show wasn’t on anymore, but now since watching your cooking videos & all the many recipes that you have on the internet, I’m am & always will be a big huge fan of your. video and the texture is brilliant . Wax paper is not the same as parchment paper. Parchment paper is safe to use in an oven but wax paper is not. Wax paper should only be used for counter top work or food storage but never in the oven. Looks delicious. Bet it would make good French toast, too!